Picture related to film’s performance, not really related to its plot. Photo courtesy Walt Disney Studios Motion Pictures. It was pretty much a given that Star Wars: The Force Awakens was going to take several box office records. This is just to round up the ones it took on opening weekend and give a little context for each one. Widest December release of all time- 4,134 theaters: This was the widest December release of all time, breaking the record held by The Hobbit: An Unexpected Journey, which opened in 4,045. The overall record holder is The Twilight Saga: Eclipse, which released on 4,468 screens for Independence Day weekend in 2010. It’s important to understand that December is not traditionally a big month for movies, as most Americans are spending time with their families and whatnot. Several of the records The Force Awakens broke were set in May, June and July, the traditional blockbuster hay days. Fandango pre-sales records- numbers not available: According to eminent ticket sales website Fandango.com, which does not release its exact numbers, The Force Awakens sold eight times the number of tickets in its first day of presale availability as the previous record holder, The Hunger Games. The ticket provider went on to say last week that the website had sold more tickets for the film before its first screening than it had for any other movie during its entire run. 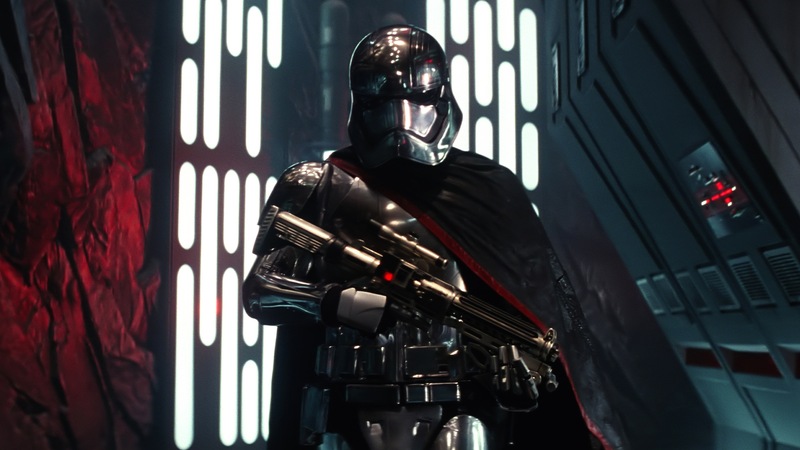 Biggest domestic opening weekend ever- $247 million: As expected, The Force Awakens demolished the opening weekend record, set earlier this year by Jurassic World at just $208.8 million. The previous December record holder was The Hobbit: An Unexpected Journey, which opened with just $84.6 million. Biggest worldwide opening weekend ever- $528 million: There was some doubt as to whether or not Star Wars could break this record, set by Jurassic World at $525.4 million. The thing is, China, the world’s second largest movie market, isn’t releasing this until January, meaning The Force Awakens essentially set this record with one hand tied behind its back. If it had a more coordinated opening, which Jurassic World benefited from, we’d almost certainly be talking about a worldwide opening well over $600 million. Biggest Thursday early screenings totals ever- $57 million: This was another given, and it’s actually a little bit of a letdown. The previous record holder was part two of Harry Potter and the Deathly Hallows, which brought in $43.5 million from Thursday night screenings, but was strictly limited to midnight curtains. Theaters have since started showing early screenings as early as 7 p.m. With five more hours of screenings, its a little shocking that it only won this record by $15 million. Biggest Friday ever- $120 million: Thursday early screenings are incorporated into opening Friday numbers, since they were traditionally technically on Friday, so this number is a tad underwhelming for the same reason the previous number was. This record, obviously, was also held by part two of Deathly Hallows at $91 million. People will call The Force Awakens the first movie ever to make $100 million in a single day, and that’s technically correct, but again, with screenings starting at 7 p.m. and some theaters with showings starting as late as 2 a.m., that’s a little disingenuous. Biggest Sunday ever- $58 million: In addition to taking the opening weekend record, Star Wars was expected to win pretty much every single-day record as well. Surprisingly, its Saturday, $68.7 million, comes in at just no. 3 all time, behind Jurassic World and The Avengers. That’s all for the opening flurry. The most significant records The Force Awakens is looking at now includes the fastest film to $1 billion and the all time box office records. Another one of Jurassic World’s titles, the dinosaur flick hit the $1 billion mark in just 13 days. Star Wars would have to beat this number without any money from China, which is again the second largest movie market in the world. The all time box office record belongs to Avatar, and predicting that is a bit more complicated. Avatar started a revolution in premium screen formats, and people were so fascinated by its technology it held at no. 1 from its December release all the way to mid-March, when Clash of the Titans, the first movie since Avatar to release in 3D, hit theaters. There are so many significant movies releasing Christmas Day that even highly anticipated best-picture contenders The Hateful Eight and The Revenant have backed their wide releases off that date. The Force Awakens should definitely hold no. 1 through at least the end of the year, but it’s going to face much stiffer competition than Avatar did. This entry was posted in The Möbius strip and tagged #avatar, #clash of the titans, #fandango, #jurassic world, #star wars, #the force awakens, #the hobbit, #the hunger games, #twilight, Harry Potter, The Avengers. Bookmark the permalink.